The stainless steel kitchen modules produced by Abimis, equipped with a cooling and heating system, are ideal to keep everything clean and ready for use. Hygiene is the focus point in the design of modules for Abimis kitchens, which is why they are made of stainless steel. Indeed, the stainless steel kitchen modules designed by Abimis are available in two solutions for even easier cleaning. 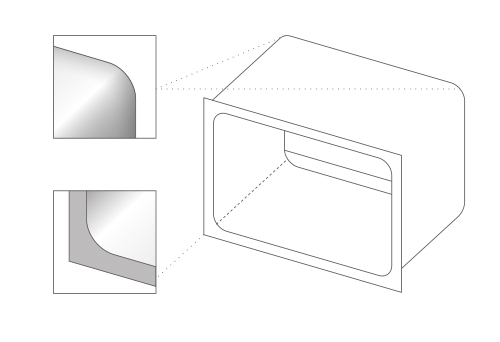 The Abimis compartment, which is top of the range, is designed with all four corners rounded and welded. Kitchen module with squared corners. 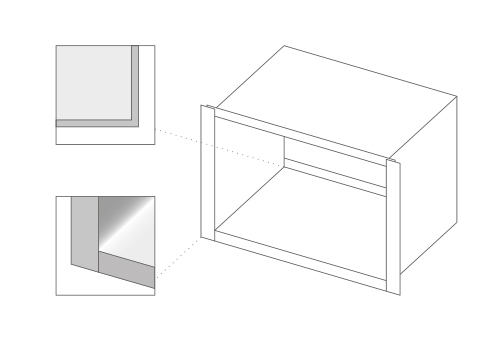 Kitchen module with rounded corners.